WASHINGTON—The U.S. Supreme Court sided against China on June 14, throwing out a lower court ruling that had allowed two Chinese vitamin C makers to escape almost $148 million in damages for violating American antitrust law. In a case that brought trade conflicts between the world’s two largest economies before the top U.S. court, the justices ruled 9-0 that the lower court gave too much deference to Chinese government filings explaining China‘s regulatory policy. The justices sent the case back for reconsideration by the New York-based 2nd U.S. 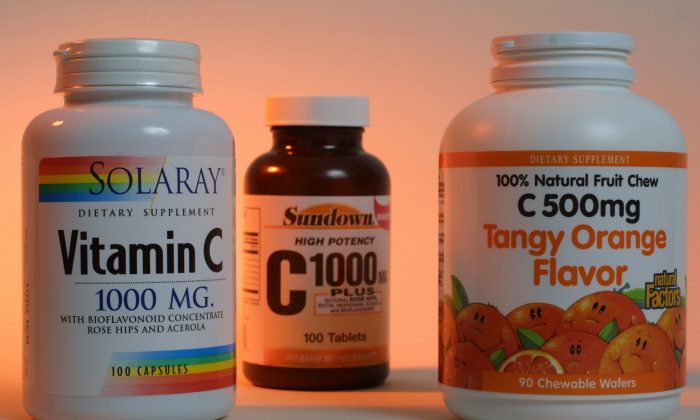 Circuit Court of Appeals, which in 2016 threw out the damages won by two American companies that buy vitamin C.
Lawyers for the U.S. and Chinese governments faced off in April before the justices. The Supreme Court took the unusual step of letting China present arguments even though it is not an official party in the case, a privilege typically reserved for the U.S. Justice Department. The price-fixing case dates back to 2005 when Texas-based Animal Science Products and New Jersey-based Ranis Company accused Hebei Welcome Pharmaceutical, North China Pharmaceutical Group, and other Chinese vitamin C makers of antitrust violations. China asked the trial court to dismiss the allegations in part because its laws had forced Chinese companies to comply with government-mandated pricing regimes. The ruling is set against the bigger backdrop of China and the United States’ still simmering trade disputes. President Donald Trump has accused China of unfair trade practices and threatened to impose tariffs on up to $150 billion in Chinese goods over allegations of intellectual property theft. China has warned of retaliation. Michael Gottlieb, a lawyer representing the American companies, said his clients’ fight over the price-fixing allegations will continue. “The decision will promote free and open markets, while protecting the independence of the U.S. courts,” Gottlieb added. A U.S. federal judge questioned the credibility of the Chinese submissions in the case and, after a 2013 jury trial, awarded the two American companies $147.8 million in damages. The 2nd Circuit overturned the judgment in 2016, saying that when a foreign government directly participates in a case, American courts are obligated to defer to that country’s characterization of its own laws.